Safe Water Technologies Residential Sediment Filters are built utilizing SWTs FilterEase-HD™ filter media. 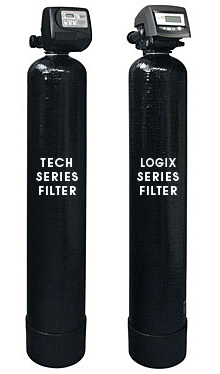 These filters are designed to remove ferric iron, silt, and turbidity, and are preferred when higher backwash rates (if available) are desired for cleaning iron and silt from the filter bed. Sediment filtration as low as 10 to 20 micron is common. Plus, these systems feature SWTs Cyclonic Distributor System™ to provide full bed contact, less channeling, and superior backwashing.